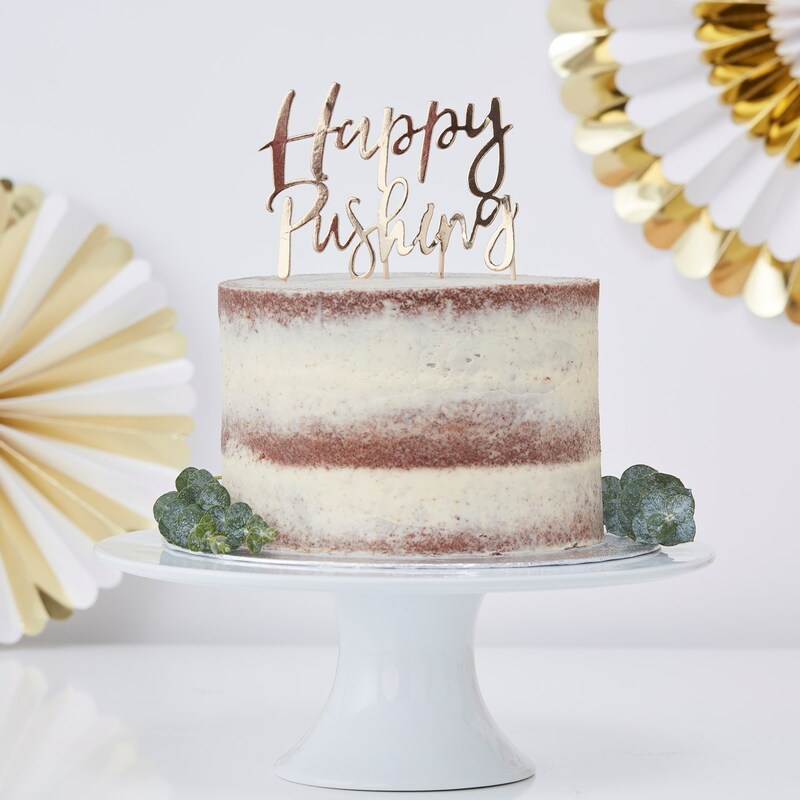 Happy Pushing Gold Cake Topper - Oh Baby! This gold ""Happy Pushing"" cake topper really is the icing on the cake! Our stunning gold foiled cake topper is a cute finishing touch to any perfect baby shower. As it is all in the final details make sure to sprinkle some magic with our gold ""Baby"" confetti around the cake and serve in our white and gold ""Oh Baby"" napkin. Each pack contains 1 cake topper measuring 170mm (H) and 115mm (W). The ""Happy Pushing"" text measures 90mm (H).